Home » CatDV helps JPL manage over 50 years of historic space exploration content. When Explorer 1, built by NASA’s Jet Propulsion Laboratory (JPL), launched into orbit in 1958 successfully marking the United States’ first entry into space, America’s excitement for space exploration was ignited and it has been exploring ever since. For over 50 years, JPL has continued to explore the solar system, other stars and galaxies, and even Earth itself with robotic spacecraft. It has played pivotal roles in many historic missions including Mariner, Viking, Voyager and Cassini. Most recently in August 2012, the Mars Science Laboratory Curiosity Rover landed on Mars kick starting a two-year mission to determine if the planet could have hosted life. JPL is a federally funded research and development facility staffed and managed by the California Institute of Technology (Caltech) for the National Aeronautics and Space Administration (NASA). In addition to designing, building and operating robotic spacecraft, JPL is responsible for NASA’s Deep Space Network – a worldwide system of communications complexes that serve as portals to distant spacecraft. JPL’s television production facility is tasked with archiving and preserving the historical content of over 50 years of media files from the early days of rocketry and interstellar space exploration. JPL also plays a key role in education, producing videos to communicate details of exploration missions to the public at large, as well as educational materials for students at all levels. To better organize and manage these priceless media assets JPL implemented CatDV as its asset management system. The JPL production team consists of multiple producers, editors, technicians, a 3D animator, media librarian, and freelance post professionals. They produce on average three live shoots per week. The editors work on both Mac and Windows OS with Final Cut Pro 7 as the primary editing application. Raw footage from recorded video and/or P2 cards is immediately put on a hard disk; a Pro Res version is automatically created which is stored, along with all the raw materials including audio files, graphics etc, on a storage area network (SAN) server. Sorting through all of these files was time consuming. The editors would have to search the database by title, hoping it contained the file they were seeking. Now with CatDV, all of the files are catalogued and tagged giving quick and easy access to the media content. Review and approval of projects involves circulating files between multiple team members and managers. Before implementing CatDV, producers were unable to view projects throughout the editing process, as there was no simultaneous access to all the materials. Now all the meta data generated in the system will simply import directly from CatDV to the project so that everyone can access, edit via proxy or review. The producers will be able to view the source materials or raw materials and mark using timecode or in and out points and simply feed their choices into CatDV. This ability has enabled them to dramatically increase productivity and produce more and more projects. Once a project has been edited, reviewed and approved, it needs to be sent to multiple destinations both inside and outside the organization. Because so much of the content produced by JPL is published to the web, they needed an easy tool to work with that maintains the quality of the material. The editors make a back up of the project and using CatDV, create eight different web compressions. They are then effortlessly delivered to the web team and ultimately published onto the website. In addition to addressing multiple production workflow issues for JPL, CatDV will be used to catalogue finalised programs as well as continuing projects such as videos on the Mars rover, so that viewers can search the website to see what is available to download. Image 1: Courtesy Neil Bundle. 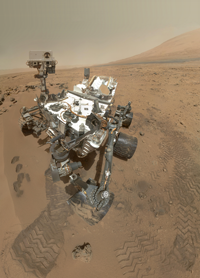 Image 2: High-Resolution Self-Portrait by Curiosity Rover Arm Camera, courtesy, NASA/JPL-Caltech/Malin Space Science Systems, image ID: PIA16239. 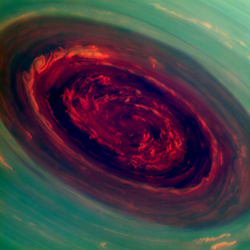 Image 3: The Rose: Mysterious Hurricane at Saturn’s North Pole, courtesy NASA/JPL-Caltech/SSI, image ID: PIA14944. 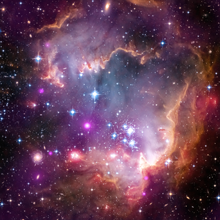 Image 4: Taken Under the ‘Wing’ of the Small Magellanic Cloud, courtesy NASA/CXC/JPL-Caltech/STScI, image ID: PIA16884. Image 5: A Splendor Seldom Seen, courtesy NASA/JPL-Caltech/Space Science Institute, image ID: PIA14934.